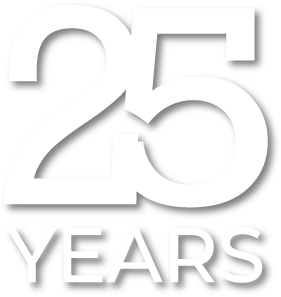 We have spent twenty five years perfecting an Asset Management Software to simplify your maintenance! Tryout the MEX Computerised Maintenance Management System for yourself without any limitations today. Reduce equipment failures and downtime with Preventative Maintenance Work Orders to either Time based and/or Usage based frequencies schedules. Hierarchical Tree structure to logically organise Assets showing: Maintenance Activities, History, Readings, Spare Parts, Documents, Movements and much more. Request/Track and record work detailing the: Tasks to be performed, Parts, Trade/Person, Permits, Safety Notes, Time for full History and Reporting. 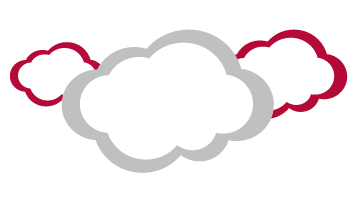 Full control and visibility over your Stores: Min/Max stock levels and automated restock, Suppliers, Pricing, Reservations and Purchasing. Customisable reports and KPIs that give you the visibility and reporting functionality you need to meet management objectives. 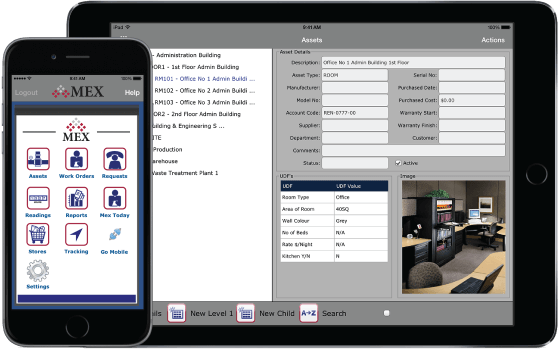 From Assets to Reporting, now more than ever before MEX has expanded its iOS application to make it easier for you to do your job anywhere, anytime. 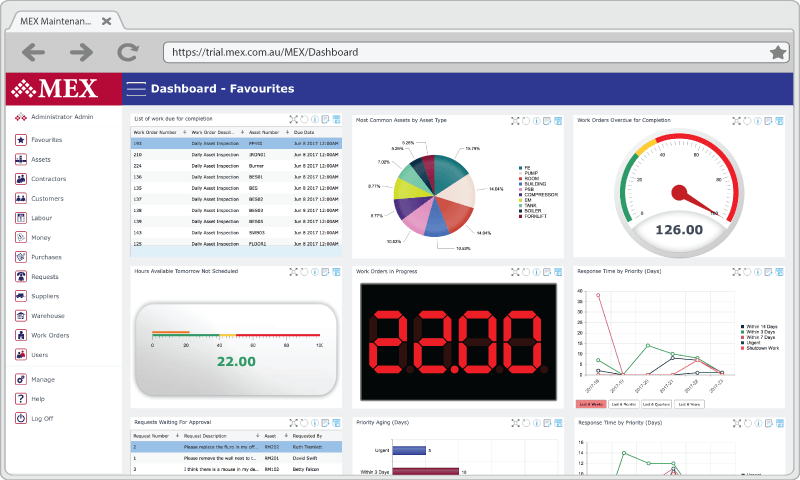 With over 12,000 Users in Australia and around the world, it’s easy to see how MEX can control operations in industries as diverse as Mining and Minerals, Manufacturing, Food Processing, Hotels, Hospitals and Governments. 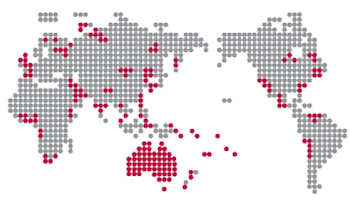 Take a look at some of our customer case studies. The MEX range of products delivers you simplicity and functionality for the management of all your maintenance and inventory needs. 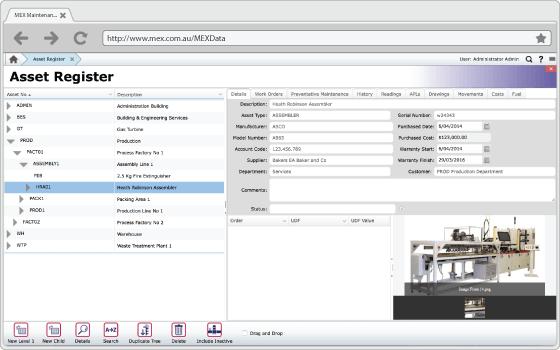 Allowing for the effective management of equipment through proven maintenance procedures captured with the MEX CMMS. MEX Data Hosting ensures that your system is easily accessible, constantly backed up and stored securely. On top of that, MEX Data Hosting helps to reduce management overheads, saves you money on infrastructure costs and gives you access to your MEX data anywhere, anytime. The more we use it the better the system becomes. This software can be adopted and used easily. I enjoy using the Asset Importation, updates and Work Order. Ease of use, Function ability, ease of data capture and quick recall. Its ability to make it your own, reasonably easy to use. The instructor was very helpful and when needed you got a one on one training. Good features for Stores and Preventative Maintenance etc. 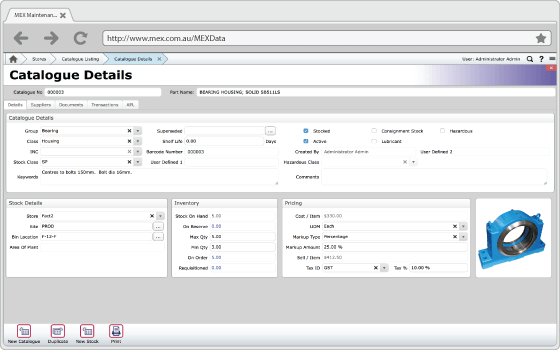 MEX is quite easy to use and provides rich functionalities for manufacturing maintenance. The software itself is quite easy to use when creating a custom module. 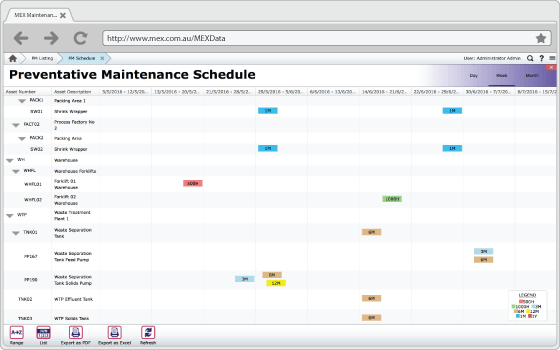 I use MEX daily and it is great to track all maintenance activities. 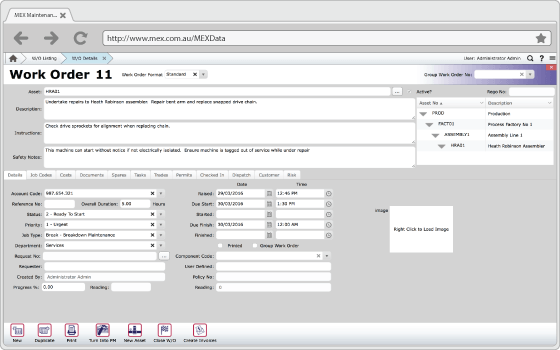 MEX CMMS System Review - Long Term User. Functionality of all modules and ease of use is extremely good. At MEX we take pride in providing a simple maintenance management solution to help you get the most out of your facilities and equipment. We understand that a CMMS plays a major role in a maintenance operation so MEX has been designed to make your work easier. 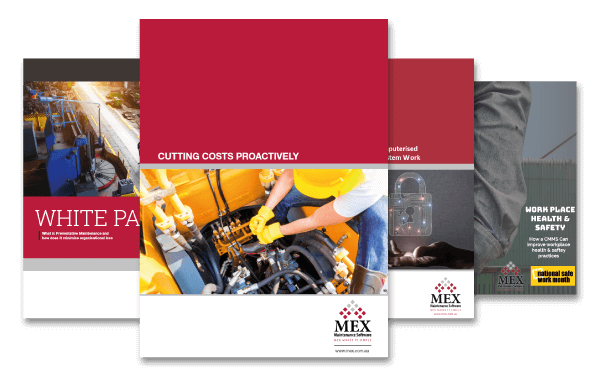 From cutting maintenance costs proactively to operating equipment safely, MEX can handle it all. Download, read and share our white papers to see how we go about providing a better way to manage maintenance.